The AngryDuck ransomware is the newest malicious threat this week having been reported only a few hours ago by a security researcher. We are still investigating the issue, however if you are affected you can remove it easily by following our instructions. Solution #1 AngryDuck Ransomware can be removed easily with the help of an anti-malware tool, a program that will clean your computer from the virus, remove any additional cyber-security threats, and protect you in the future. 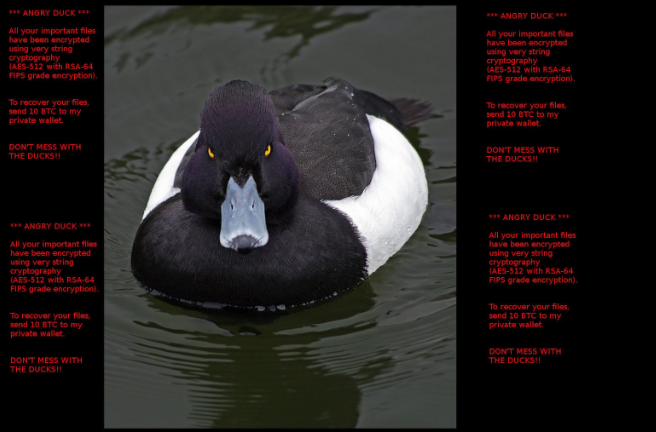 AngryDuck Ransomware can be removed manually, though it can be very hard for most home users. See the detailed tutorial below. Distribution Spam email campaigns, infected software bundles, browser hijackers and malicious redirects and ads. The AngryDuck Ransomware is one of the latest reported ransomware threats. It has been discovered by the malware researcher Michael Gillespie on Twitter. The collected samples are still under investigation. According to the ransom note the virus uses a strong encryption cipher (AES-512 with RSA-64 FIPS) that targets the target user files. The complete list of the files is not yet available, but such ransomware strains target the most popularly used files – audio, video, documents and other sensitive information. The Angry Duck ransomware appends the “.adk” file name extension to the affected files. When the encryption process is completed the users are blackmailed to send the ransom fee of 10 Bitcoins to restore access to their files. The payment has to be sent directly to the BitCoin wallet of the hacker. As the Angry Duck ransomware is still a new threat we have not observed any live attacks yet. However we suspect that it is delivered by the typical delivery methods that are employed by hackers. Spam Email Campaigns – Large-scale attacks with ransomware-infested binary files. Depending on the attack vector the messages might be personalized (using harvested information about the victims) or general. In many of these attacks social engineering tricks are used to scam the users into downloading and running the infection. Some of the newer infections use malicious macro in Microsoft Office documents. Malicious Software Downloads – Installing various software from untrusted sites and P2P networks is a very likely way to get infected. The Angry Duck ransomware can even be inserted in legitimate software packages that are found on unofficial company sites. Browser Hihackers – Browsing the Web via browser hijackers and untrustworthy sites can lead to ransomware installations via search results and malicious ads. For a faster solution, you can run a scan with an advanced malware removal tool and delete Angry Duck completely with a few mouse clicks. Manual removal of Angry Duck requires being familiar with system files and registries. Removal of any important data can lead to permanent system damage. Prevent this troublesome effect – delete Angry Duck ransomware with SpyHunter malware removal tool. 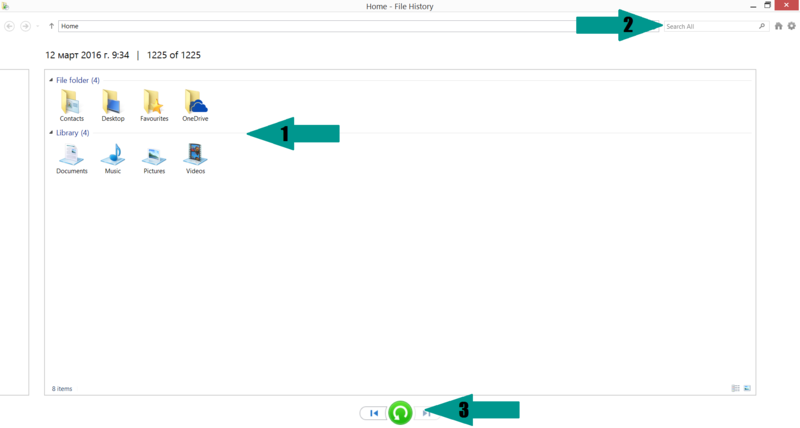 For a faster solution, you can run a scan with an advanced malware removal tool and delete Angry Duck Ransomware completely with a few mouse clicks.